When will "Out of Stock" title be back in stock? We are not able to give information about when "Out of Stock" titles will come back into stock. However, by following us on Facebook or Twitter or by subscribing to our Mailing List you will receive updates on new titles, 'back in stock' titles and seasonal offers. What titles are you planning to publish and when will they be available? We appreciate the interest customers take in our work. 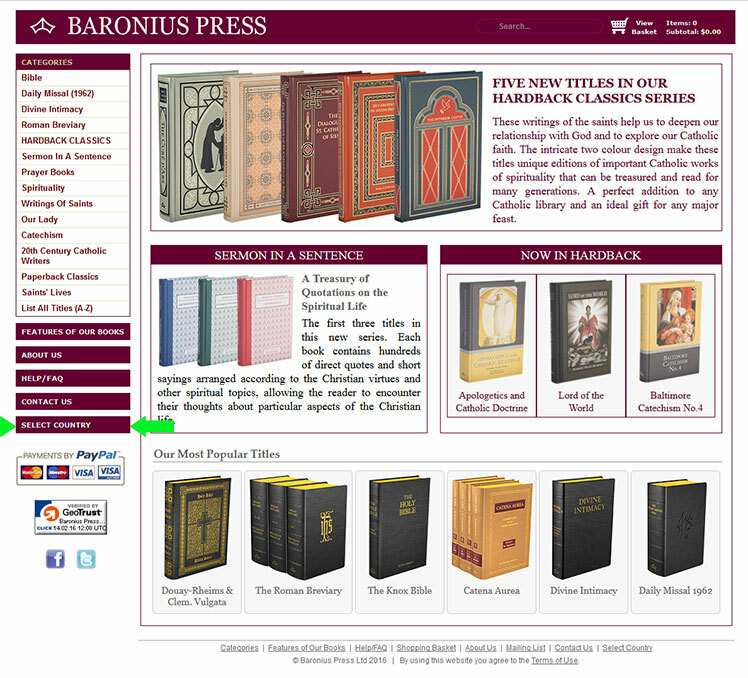 We also understand that customers wish to get updates and are often very eager to order titles that we are working on. In the past we discovered that progress on titles is not always as fast as we had hoped for and customers then understandably became frustrated. As we are a very small company with limited resources, we hope that our customers understand that we wish to focus our efforts entirely on producing titles. We therefore decided not to list any information on our forthcoming titles and will only release information about new titles when they are physically in stock and available to be ordered. Please follow us on Facebook or Twitter or subscribe to our Mailing List and you will receive updates on new titles, 'back in stock' titles and seasonal offers. Do you carry or can you suggest a good zipped cover for your Daily Missal or Roman Breviary? Each Daily Missal/Roman Breviary comes with a slipcase. Most customers find this to be adequate protection for everyday use. We do not sell zipped covers and we do not know which companies do. Your local seamstress or tailor should be able to make one for you. I am looking for a particular title - can you help me? We only give information about the titles we publish. If you are looking for a particular title that is not on our website, please try searching for it on Google.com, Bing.com or Abebooks.com. Are you considering selling your titles as ebooks? 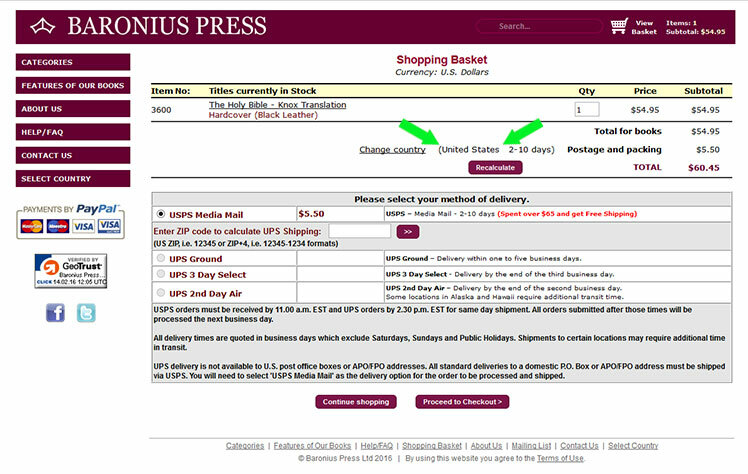 We are currently carefully evaluating ways in which to provide our books in eBook format. However, with two columns layout, such as our Daily Missal or Roman Breviary, it is not technically possible at the moment. If you would like to be informed when our titles are released in ebook format, please follow us on Facebook or Twitter or subscribe to our Mailing List. I would like to submit a manuscript, what are your submission guidelines? Unfortunately, we do not accept manuscripts for publishing as we have a very busy schedule of books to be published over the next few years. We would recommend that you contact your card issuer for advice on Verified by VISA / MasterCard SecureCode in order that you can avoid any problems on your internet purchases. I don't have a credit card. Is there any other way of paying? USA is not in your country list, what shall I do? 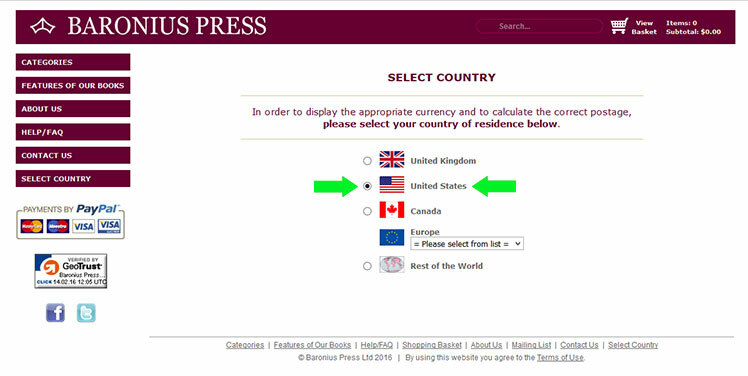 Please choose United States from the SELECT COUNTRY list. You should see United States as a selected country in your Shopping Basket.